In the middle 1980s, I was advisor to the ASCE Student Chapter at San Diego State University. The group met weekly, and we invited an engineer from the local community to share his/her experiences with our students. For one of the talks, a well known hydraulic engineer came and spoke to us about a project that he had been involved with. Sometime during the course of the presentation, he said that he had done routing with HEC-2. Being an unsteady flow expert, I know that you cannot route with HEC-2. So, I felt a little uncomfortable having to correct our guest on a matter of concept. In 1998, HEC-2 was replaced by HEC-RAS, which remained a steady flow model through its versions 1 and 2. However, version 3, released in 2002, has the capability to perform unsteady flow computations. Thus, now we can properly say that we can "route with HEC-RAS," while a similar statement was not correct in regard to HEC-2. 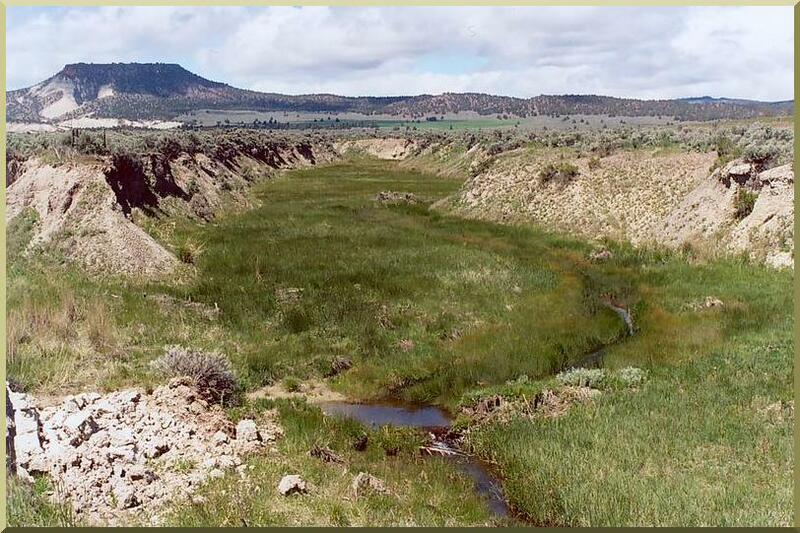 Panoramic view of Camp Creek, in eastern Oregon, developed due to overgrazing of the meadow.